Tired of your rear bumper and hood looking tired and scraped from stone chips, insects, small scratches, and the wear-and-tear sand-blasting effect from years of driving? Offer expires April 01, 2013 11:59pm (EDT). Please call 1-800-852-4216 for complete details. 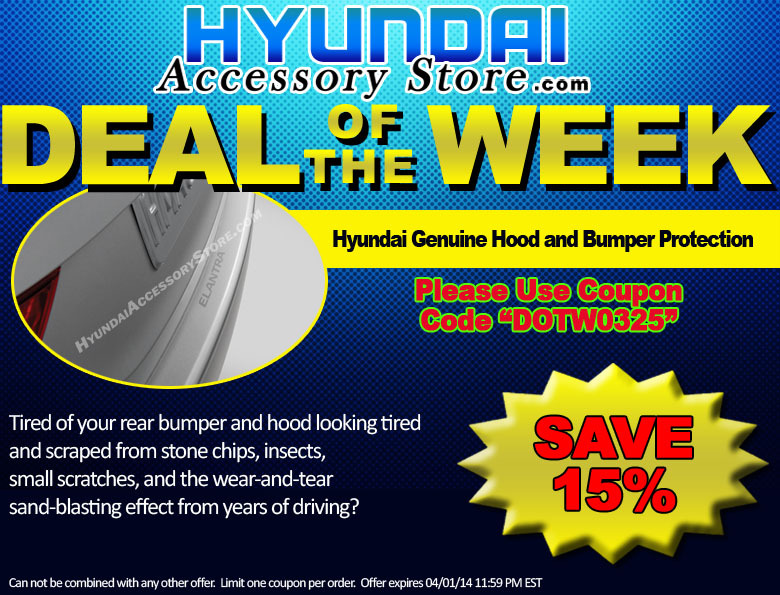 This entry was posted in Hyundai, Hyundai Accessory Store on March 25, 2014 by hasblog.